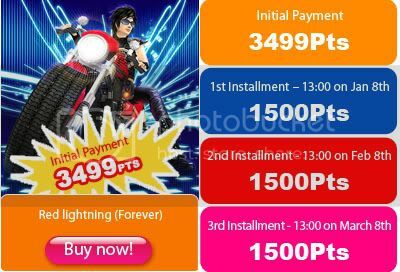 From 16:30 on 10th December - 16:00 on 17th December, 2009 you can buy a FOREVER motorbike by installment. Intrigued? Read on for the details. 1. 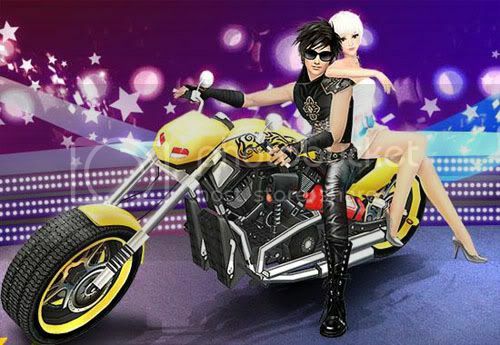 You can hire-purchase the Forever motorbike with an initial payment of 40% (3499Pts) of the full price during the promotion period (10th – 17th December, 2009). 2. 3 installments of 1500Pts each will be debited from your account at 13:00 on 8th January, 13:00 on 8th February and 13:00 on 8th March, 2010. 3. 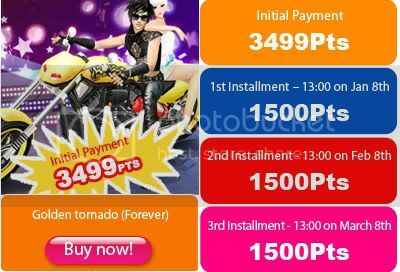 If your account does Not show sufficient funds at 13:00 on 8th January, 13:00 on 8th February and 13:00 on 8th March, 2010, your motorbike will be repossessed Forever. 4. After paying up the full price of the motorbike, you will have full ownership of this Forever motorbike. 1. This offer applies ONLY to the Online Store here. 2. Your Motorbike will be automatically DELETED if your account does not show sufficient funds on any one of the 3 payment dates.